Enjoy the top 1 famous quotes, sayings and quotations by Paul Colman. I feel like a cup of tea with no milk. I just had one. It was disgusting. 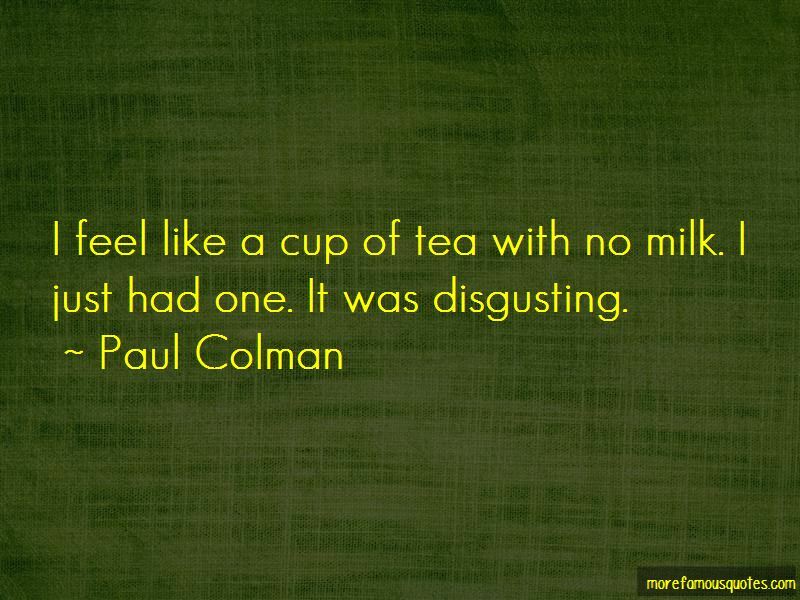 Want to see more pictures of Paul Colman quotes? Click on image of Paul Colman quotes to view full size. “3The voice of the Eternal echoes over the great waters; Gods magnificence roars like thunder. The Eternals presence hovers over all the waters.” — Anonymous.